In considering the effect of a symbol on the psyche, in his seminal essay The Symbol without Meaning Joseph Campbell proposes the following definition: A symbol is an energy evoking, and directing, agent. "a symbol, like everything else, shows a double aspect. We must distinguish, therefore between the 'sense' and the 'meaning' of the symbol. It seems to me perfectly clear that all the great and little symbolical systems of the past functioned simultaneously on three levels: the corporeal of waking consciousness, the spiritual of dream, and the ineffable of the absolutely unknowable. The term 'meaning' can refer only to the first two but these, today, are in the charge of science – which is the province as we have said, not of symbols but of signs. The ineffable, the absolutely unknowable, can be only sensed. It is the province of art which is not 'expression' merely, or even primarily, but a quest for, and formulation of, experience evoking, energy-waking images: yielding what Sir Herbert Read has aptly termed a 'sensuous apprehension of being'. "Concepts and words are symbols, just as visions, rituals, and images are; so too are the manners and customs of daily life. Through all of these a transcendent reality is mirrored. There are so many metaphors reflecting and implying something which, though thus variously expressed, is ineffable, though thus rendered multiform, remains inscrutable. Symbols hold the mind to truth but are not themselves the truth, hence it is delusory to bu borrow them. Each civilisation, every age, must bring forth its own." In the book Signs and Symbols, it is stated that A symbol ... is a visual image or sign representing an idea -- a deeper indicator of a universal truth. Symbols are a means of complex communication that often can have multiple levels of meaning. This separates symbols from signs, as signs have only one meaning. Human cultures use symbols to express specific ideologies and social structures and to represent aspects of their specific culture. Thus, symbols carry meanings that depend upon one’s cultural background; in other words, the meaning of a symbol is not inherent in the symbol itself but is culturally learned. Symbols are the basis of all human understanding and serve as vehicles of conception for all human knowledge. Symbols facilitate understanding of the world in which we live, thus serving as the grounds upon which we make judgments. In this way, people use symbols not only to make sense of the world around them, but also to identify and cooperate in society through constitutive rhetoric. Swiss psychoanalyst Carl Jung, who studied archetypes, proposed an alternative definition of symbol, distinguishing it from the term sign. In Jung's view, a sign stands for something known, as a word stands for its referent. He contrasted this with symbol, which he used to stand for something that is unknown and that cannot be made clear or precise. An example of a symbol in this sense is Christ as a symbol of the archetype called self. For example, written languages are composed of a variety of different symbols that create words, p. . Through these written words humans communicate with each other. Kenneth Burke described Homo sapiens as a "symbol-using, symbol making, and symbol misusing animal" to suggest that a person creates symbols as well as misuses them. One example he uses to indicate what he means by the misuse of symbol is the story of a man who, when told that a particular food item was whale blubber, could barely keep from throwing it up. Later, his friend discovered it was actually just a dumpling. But the man's reaction was a direct consequence of the symbol of "blubber" representing something inedible in his mind. In addition, the symbol of "blubber" was created by the man through various kinds of learning. Burke goes on to describe symbols as also being derived from Sigmund Freud's work on condensation and displacement, further stating that symbols are not just relevant to the theory of dreams but also to "normal symbol systems". He says they[ត្រូវការបញ្ជាក់] are related through "substitution", where one word, phrase, or symbol is substituted for another in order to change the meaning[ត្រូវការបញ្ជាក់]. In other words, if one person does not understand a certain word or phrase, another person may substitute a synonym or symbol in order to get the meaning across. However, upon learning the new way of interpreting a specific symbol, the person may change his or her already-formed ideas to incorporate the new information[ត្រូវការបញ្ជាក់]. Paul Tillich argued that, while signs are invented and forgotten, symbols are born and die. There are, therefore, dead and living symbols. A living symbol can reveal to an individual hidden levels of meaning and transcendent or religious realities. For Tillich a symbol always "points beyond itself" to something that is unquantifiable and mysterious; symbols open up the "depth dimension of reality itself". Symbols are complex, and their meanings can evolve as the individual or culture evolves. When a symbol loses its meaning and power for an individual or culture, it becomes a dead symbol. The Greek Gods might be an example of symbols that were once living for the ancient Greeks but whose meaning and power are now gone. When a symbol becomes identified with the deeper reality to which it refers, it becomes idolatrous as the "symbol is taken for reality." The symbol itself is substituted for the deeper meaning it intends to convey. The unique nature of a symbol is that it gives access to deeper layers of reality which are otherwise inaccessible. 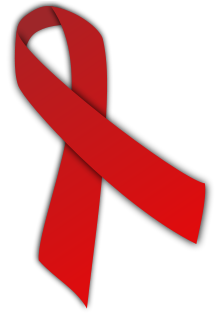 Wearing a red ribbon is a symbolic action that communicates support for AIDS awareness and people with HIV. A symbolic action is an action that has no, or little, practical effect but symbolizes, or signals, what the actor wants or believes. The action conveys meaning to the viewers. Symbolic action may overlap with symbolic speech, such as the use of flag burning to express hostility or saluting the flag to express patriotism. In response to intense public criticism, businesses, organizations, and governments may take symbolic actions rather than, or in addition to, directly addressing the identified problems. Symbolic actions are sometimes derided as slacktivism. ↑ ៦,០ ៦,១ Womack, Mari. Symbols and Meaning: A Concise Introduction. California: AltaMira Press, 2005. ↑ Langer, Susanne K. A Theory of Art, Developed From: Philosophy in a New Key. New York: Charles Scribner’s Sons, 1953. ↑ Palczewski, Catherine, and Ice, Richard, and Fritch, John. Rhetoric in Civic Life. Pennsylvania: Strata Publishing, Inc., 2012. ↑ Indick, William. Ancient Symbology in Fantasy Literature: A Psychological Study. Jefferson: McFarland &, 2012. Print. ↑ Bagossy, Renate. The Difficulty of the Amendment Process of the Constitution of the United States of America and Freedom of Speech and its limits. GRIN Verlag; 2008-08-11 [cited 5 November 2012]. ISBN 9783640129546. p. 16–17. ↑ Bednar, Michael Kay. How Symbolic Action Affects the Media as a Governance Mechanism. ProQuest; 2008. ISBN 9780549738817. p. 17.